A good pair of hiking socks can make all the difference between an enjoyable hike and an uncomfortable one. It’s important to take your time when choosing walking socks and consider which will best suit the type of walk and conditions you may encounter. Some key features to look out for include temperature regulation, shock absorption, blister prevention and promotion of good circulation. IsoCool is a highly breathable material which has been made to maximise the wicking of moisture away from the body whilst regulating temperature. 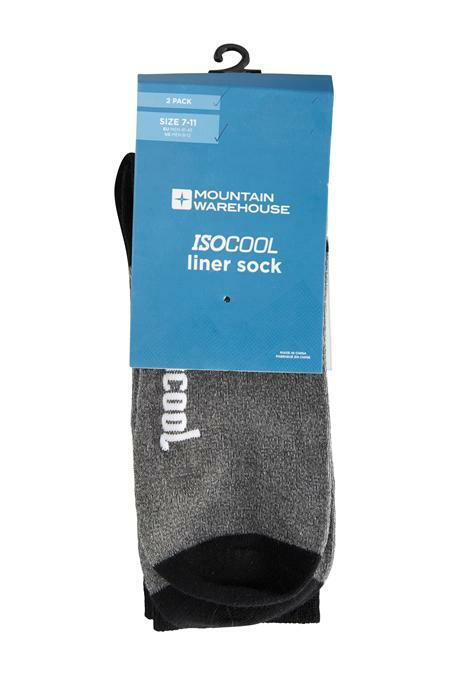 IsoCool socks, such as the IsoCool Liner Socks, are quick drying and highly breathable to keep your feet cool as you walk. Merino Wool is a natural fibre which is well known for its warmth and soft feel against the skin. 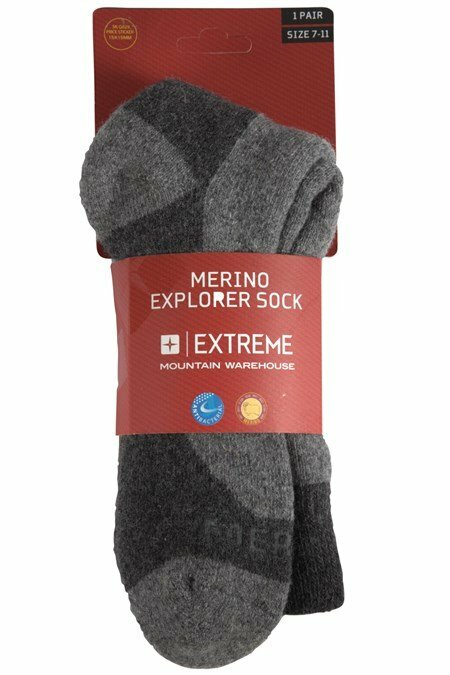 Merino wool socks, such as the Merino Explorer Socks, are lightweight, naturally breathable and anti-bacterial, which can help keep foot odour at bay. To find out more about Merino Wool check out our Merino Wool guide. Wool is the most common material used for hiking socks and is ideal for all types of walking. 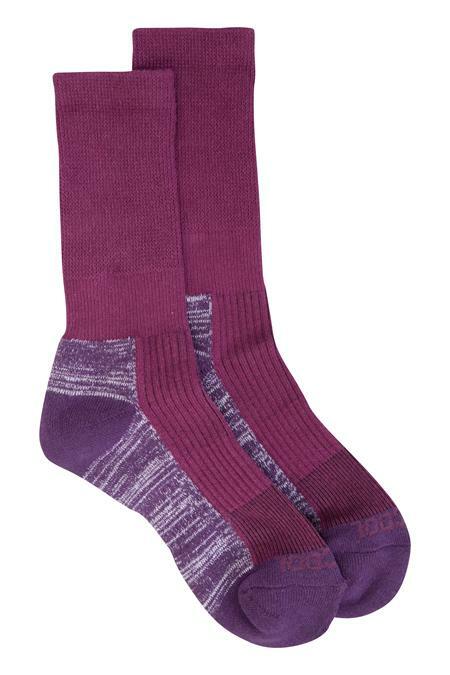 Wool walking socks are particularly suited to more strenuous hikes and colder temperatures. Cotton socks are best for city walking or short country hikes. At the end of a days’ hike you, may choose to put on cotton socks as they will draw out and soak up any moisture from your feet, helping to avoid blisters the next morning. It is becoming more common for walking socks to be made from a combination of materials. This will likely be a mixture of wool and synthetic fibres which have all the great features of wool socks but are lighter and more effective at wicking moisture away from your feet. The most common type of socks. They are thick, mid- calf length and are usually ribbed at the top. Thin socks which can be worn under a thicker pair of socks. The main function of a liner sock is to prevent blisters by wicking away moisture that causes friction and to ‘pad out’ boots so they don’t move up and down. Liner socks can also be worn on their own in warmer conditions or for shorter walks. These are very thick socks which have a built in lining sock. 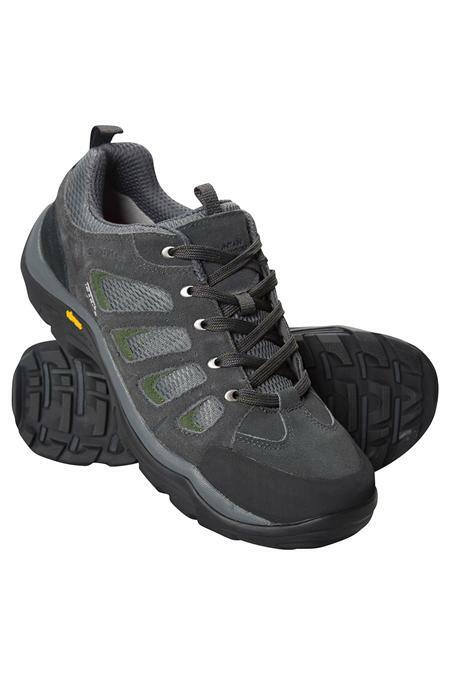 These will help to prevent blisters and add comfort. Trainer Socks – These can be worn with walking shoes for short walks in warmer conditions but aren’t suitable for long hikes in tricky terrains. Everything to look for so you can choose the best walking socks for you. The best hiking socks are high wicking, meaning they move moisture away from your feet to help regulate temperature and keep them dry to prevent blisters. Some socks will be made from natural and technical fibres constructed in such a way to allow air to circulate and wick moisture away. These highly ventilated socks are ideal for Summer. 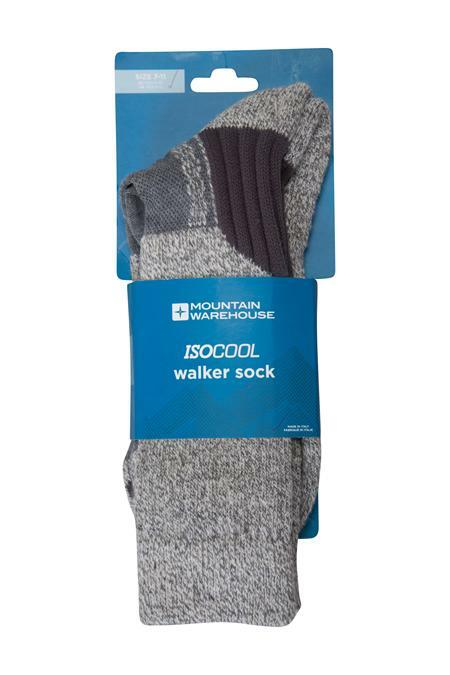 (Mountain Warehouse’s version of this fabric is referred to as IsoCool). You must make sure the socks fit properly. Too tight and they will cut off the circulation in your feet. 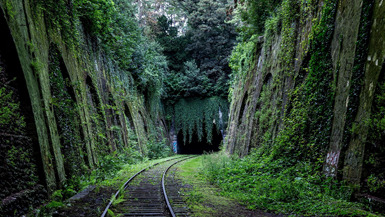 Too loose then you run the risk of blisters and chafing. Too low on the ankle can mean there is a lack of protection from the heel and tongue of your footwear. Too high and they may cause your feet to become too warm. 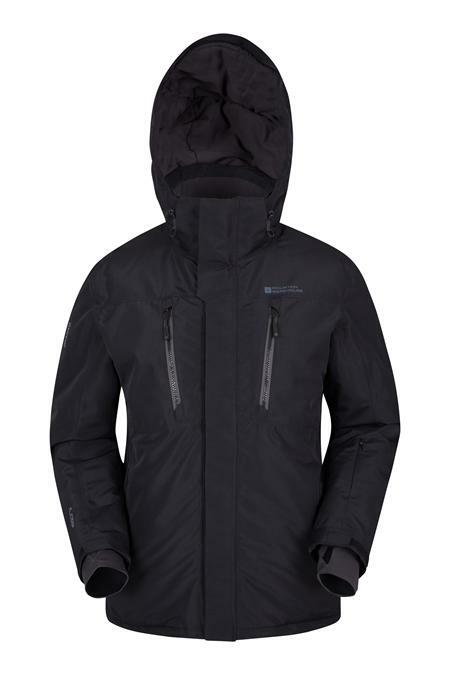 You will need to consider what material is best suited for the hiking you will be doing- see above for details. It is worth checking you are not allergic to any of the materials. Socks are available in various thicknesses, ranging from very thin lining socks to thick double layered socks. Thin light socks are the best hiking socks for warm days or on short easy trails. Mid-thickness socks are best for tougher hikes but where it is still reasonably warm. Thick socks are the best hiking sock for tough hikes and colder temperatures. It is vital you choose comfortable hiking socks. Many hiking socks have extra padding around the heel and toe areas and even underfoot to give extra protection as these areas are the most vulnerable. The best hiking socks will provide just enough cushioning but not too much. This will help prevent blisters as there is less chance of them rubbing. 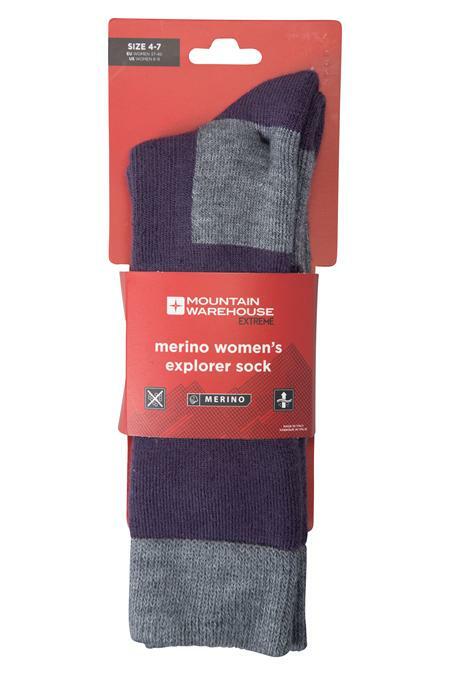 These types of socks allow a user to wear them for several days with minimal odour. These socks are treated with insect repellent to keep the bugs at bay, perfect for hot climates. The important things to remember are that no one sock will fit all types of hiking. You must make sure you buy the socks which will best match what you are going to be using them for. You must also remember the sock you buy will affect the amount of space you have in your walking footwear, so it is best to try both on at the same time before purchasing. Now you know which hiking socks are right for you, check out our walking sock range. 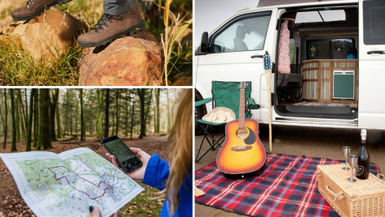 For more information to help get your feet comfortable while hiking check out our walking boots guide and how to fit walking boots guide.